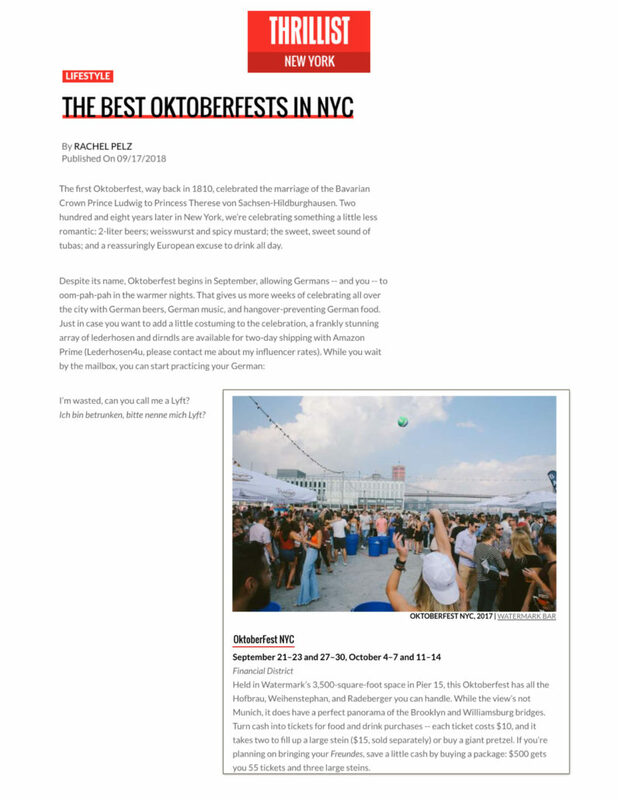 Held in Watermark’s 3,500-square-foot space in Pier 15, this Oktoberfest has all the Hofbrau, Weihenstephan, and Radeberger you can handle. While the view’s not Munich, it does have a perfect panorama of the Brooklyn and Williamsburg bridges. Turn cash into tickets for food and drink purchases — each ticket costs $10, and it takes two to fill up a large stein ($15, sold separately) or buy a giant pretzel. 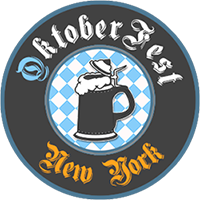 If you’re planning on bringing your Freundes, save a little cash by buying a package: $500 gets you 55 tickets and three large steins.